The name says it all – SmartCrusher is a clever innovation for the construction industry. It does not only break down disused concrete, it separates its constituents into sand and stone, producing high quality raw materials to be reused in new concrete. 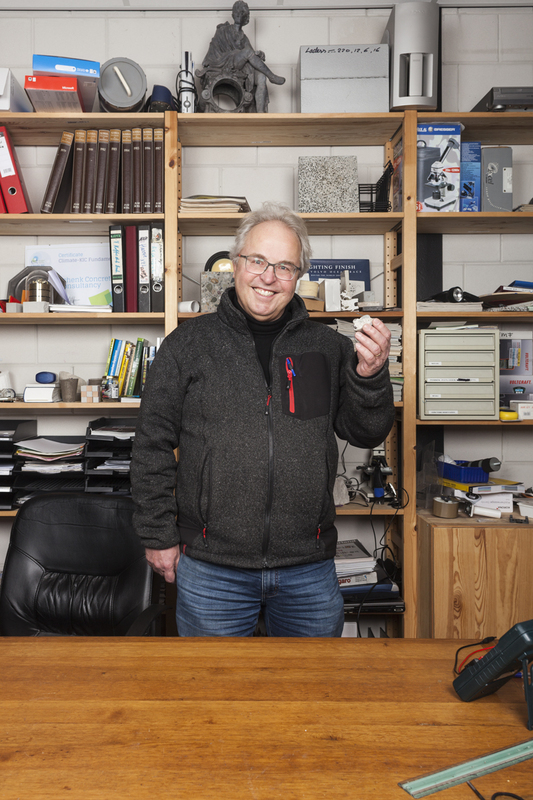 Dutch innovators Koos Schenk and Alef Schippers created the machine together with the Rutte Group to enable effective, concrete recycling, while reducing CO2 emissions at the same time. "Recovered cementstone can be reused directly CO2-free in the production of new concrete"
Concrete has been used as a reliable building material since ancient times; however the production of concrete is not sustainable; with one kilogram CO2 emitted for every kilogram of cement produced. This makes the production of the world’s most popular construction material responsible for huge quantities of greenhouse gas emissions. The challenge is to break it down into reusable raw materials. Up to now concrete crushing machines have only been able to grind all raw materials together limiting the possibilities for its reuse. These crushed pieces of concrete can only replace the pebbles in new concrete, but this does nothing to reduce CO2 emissions during the production process. 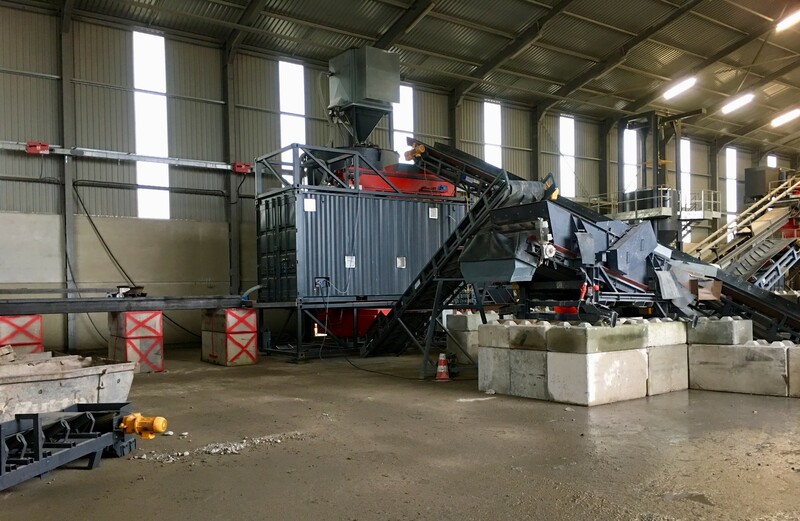 SmartCrusher separates the unused cement stone from the concrete rubble during the crushing process. As the cement stone does not need to be remade, it can therefore be directly reused – CO2-freely – in the production of new concrete. The sand and pebbles which are left over can also be reused. Innovator Schenk says the quality of these materials is actually better. In 2013, Consultancy CE Delft calculated that het concrete industry could reduce its CO2 emissions significantly through more efficient use of raw materials. Schenk believes SmartCrusher could even be used to close the loop in the cement industry. “this method produces more whilst using less energy, roughly 10 percent of a conventional machine. The mobile machine can be implemented on site using electricity from sustainable sources,” he says. SmartCrusher has come a long way since it won the ASN Bank World Prize in the ‘Sustainable energy, nature and environment’ category in 2014. Last year at the UN climate Conference in Bonn (COP23) the innovation was hailed as one of the ‘needed Game Changers’. Earlier this year, it won the Circular Award Construction 201, awarded as part of the drive to make the Netherlands 100% circular by 2050.